Spent a lot of time on editing. I read some tutorial on ‘How to give a painterly effect?’ in a book by Scott Kelby yesterday. I din’t have any suitable photograph to try at that time. I went for a photo-walk in the small break I got between rains. 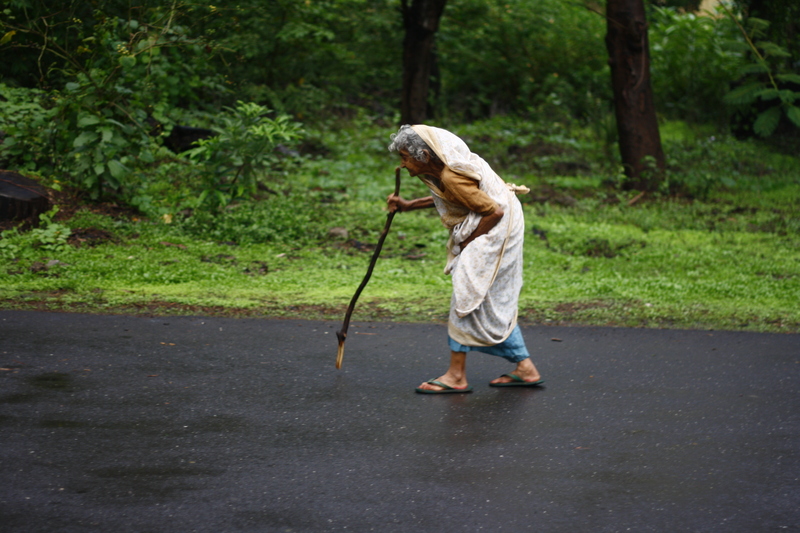 I saw this old lady from a long distance and I decided to take a photograph. It came instinctively to me that only the side pose will reflect her true state. In side pose you can see the bend in her body which makes a lot of impact. 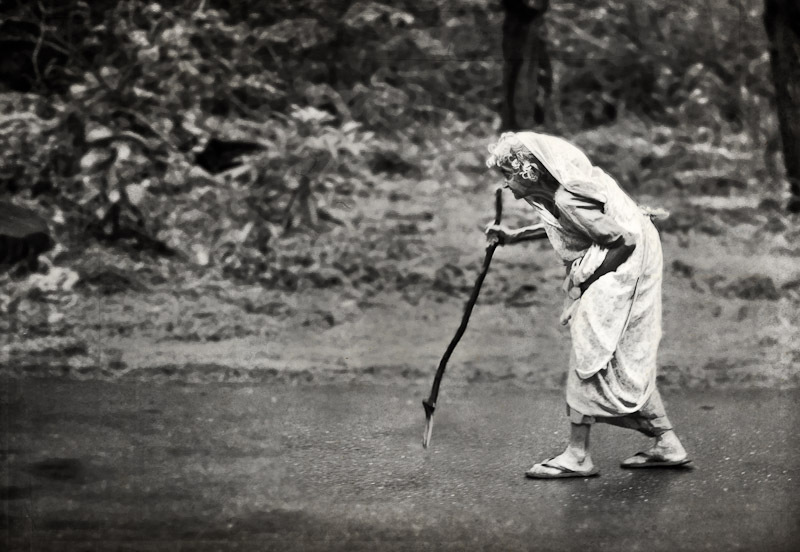 I waited for her till she came opposite to me and took this photograph. After going through Lightroom and Photoshop the final result came out to be complete different from the original.